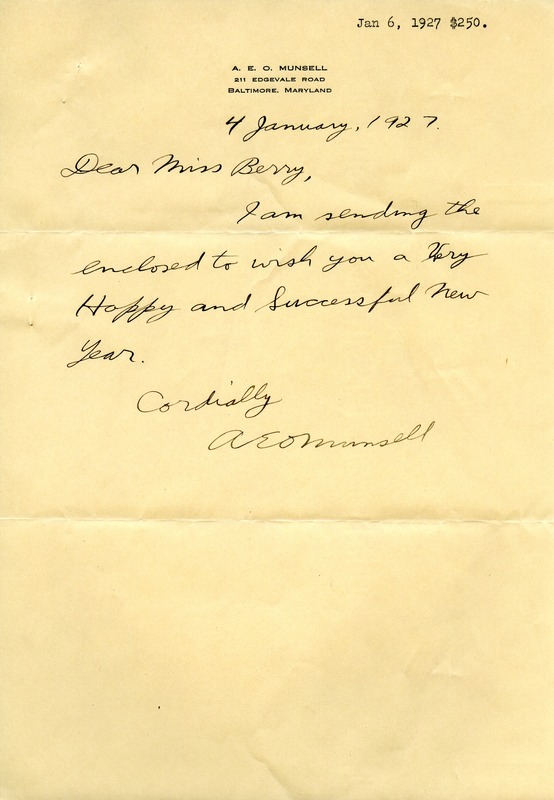 The letter wishes Miss Berry a happy and successful new year. A. E. O. Munsell, “Letter from A. E. O. Munsell to Martha Berry.” Martha Berry Digital Archive. Eds. Schlitz, Stephanie A., Danielle Columbo, et al. Mount Berry: Berry College, 2012. accessed April 21, 2019, https://mbda.berry.edu/items/show/5208.